Last edited by ~Alan~; 1st May 2014, 21:44. Nice one! Saw them in Egypt recently where they tend to sit with their reverse thrusters open, not sure why? To stop the turbines windmilling? 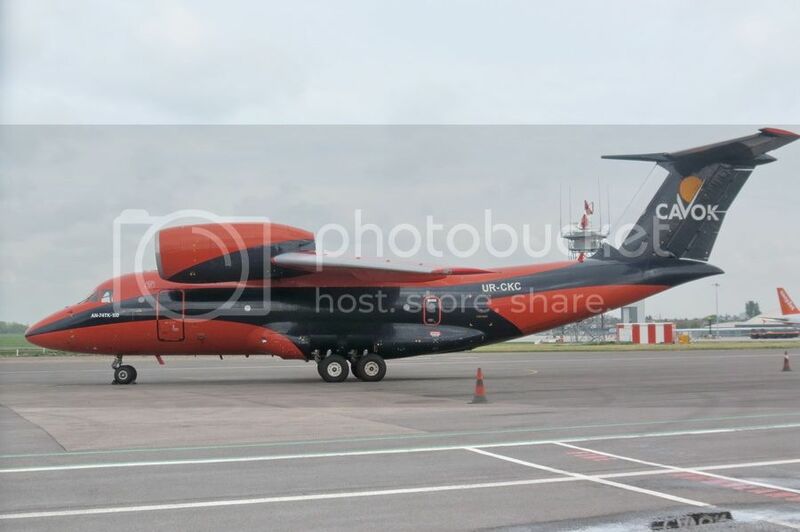 Alan- the aircraft came in from Brescia operating a freight charter. The first AN74 to visit Southend for a few years. Apparently, from what I've read here and there, that is correct. Funny, just looking at that photo again, it looks as though the tailplane is put on back to front! It does indeed. But looking at other pictures, it is an optical illusion caused by the protrusion.